2003, ISBN 3-89129-507-3, € 87,00, iudicium Verlag, Munich, 628 pp. Japanese Co-ops are providers of safe food to millions of housewives organized in small groups and they perceive themselves as “schools of democracy”, “the houswife’s window to society”, and “instruments for the creation of new local communities”, in short, as an antithesis to industrial society – at least, this is what Japanese research would like to make us think in the past. 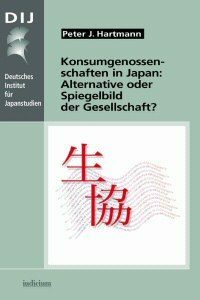 The reality, however, is rather dissimilar: Almost completely ignored by researchers, Japanese Co-ops from the beginning extended their activities to a wide range of areas including health care, housing, insurance, etc., and their member bases, weltanschauungs, aims, and strategies vary conspicuously. For the first time, the present study tries to take stock of the Japanese co-op system in its entirety and arrives at some rather less spectacular conclusions.